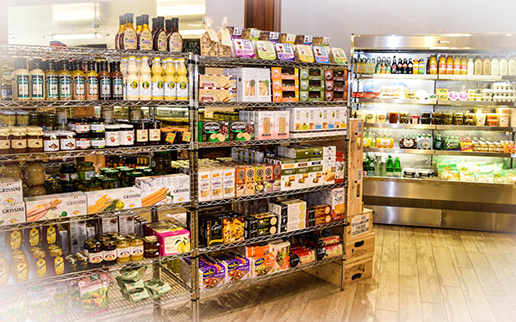 As you wonder through our aisles, you will instantly become captivated by the staggering selection of quality products that The Market at Gus’s Gourmet Market has to offer. The needs of the customer, whether a gourmet cook or a homemaker on the run, are always easily met. We stock a wide selection of pastas, olives, sauces, canned imported San Marzano Tomatoes, breads, spices, preserves and jams, cookies and bake mixes, beverages and we also have the full line of teas and coffees. We also have our own recipe items for our pasta salads and coleslaw. We feature gourmet gift baskets which are a huge hit for the holidays and events. Stop in to The Market at Gus’s and pick one up for someone special!